Bachelor in Paradise host Chris Harrison admits he didn't think the show was coming back after last summer's scandal. DeMario Jackson and Corinne Olympios celebrated Valentine's Day together amid dating rumors. Corinne Olympios: The guy I'm dating is really cool, fans will be excited to find out who he is soon! Corinne Olympios' new relationship with a mystery man is going so well that she's almost ready to go public. Corinne Olympios has confessed she got engaged after competing for Nick Viall's heart on The Bachelor although she publicly denied such rumors earlier this year. Corinne Olympios' birthday wish may be coming true! Rachel Lindsay and Raven Gates are still apparently tight, because The Bachelor girls recently enjoyed a double date with their significant others. Corinne Olympios: I'd give former 'The Bachelor' star Nick Viall another chance -- on one condition! Corinne Olympios is apparently not over former The Bachelor star, Nick Viall, and she'd be willing to give their relationship another shot. 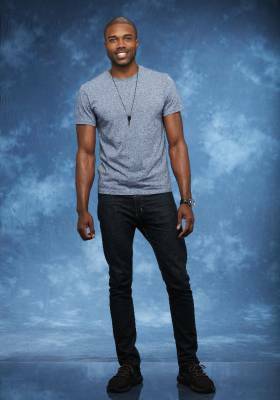 DeMario Jackson is apparently not a fan of The Bachelor franchise host Chris Harrison. Raven Gates and Adam Gottschalk's 'Bachelor in Paradise' romance -- What's their relationship status now? Raven Gates and Adam Gottschalk maintained a relationship throughout their Bachelor in Paradise experience, but what happened when they returned home?